Audiology is the science of balance and hearing disorders. The main aim of this is to help people overcome any barriers that come in their way due to their balance and hearing problems. Audiology is a clinical specialty partnered with medicine. This line combines technology which is state-of-art with science to improve the quality of life of those who face problems with hearing and balance. You find that most of the audiologist works on the ‘frontline’ working in different settings. Besides being challenging and exciting it is definitely rewarding. A combination of physiologic and behavioral measures is used when assessing the auditory/hearing status of children and infants. Audiometry methods which are behavioral include visual reinforcement, behavioral observation, conditioned play, orientation response which is conditioned, speech audiometry and conventional audiometry. Physiologic measures include measures which are acoustic immitance, like tympanometry besides reflexes which are acoustic. OAE (Otoacoustic emissions), ABR, which is Auditory Brainstem Response which includes un-sedated and sedated ABR for assessment of hearing. The child with the parent is seated in a sound booth. Sounds of different intensities are presented to the child through earphones or speakers which are calibrated. These sounds may be music or speech besides specific frequencies that are important to hear the different speech sounds. The audiologist records the response of the child to the sounds which are softest, and then plots them on a graph which is known as the audiogram. BOA or the Behavioral Observation Audiometry test which is carried out on ages 0 to 5 months. The responses of the child include eye widening, quieting, startle and more. VRA or Visual Reinforcement Audiometry from the age of 6 months up to 2 years, the child turns to the stimulus of sound and a puppet seems to light-up to the response the listening behavior of the child. COR or the Conditioned Orientation Reflex Audiometry which is similar to the VRA but you have more than one source of sound and reinforce used. This is described by many parents as a ‘sound finding game’. 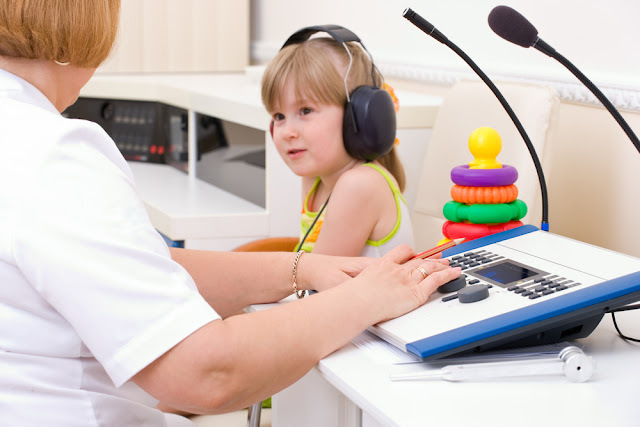 CPA or the Conditioned Play Audiometry which begins at the age of 2 years and is consistent till the age of 3 years. This game of listening makes the use of toys to be able to maintain the focus of their listening task and the attention of the child. For example, a child waits and listens to the sound with a block in hand, and then drops the block in a bucket when he/she hears the sound. This game is demonstrated by the audiologist to the child and once the child has understood this, the test is carried out. Conventional Audiometry is normally carried out in children above the age of 5 years where the child gives a verbal response or raises a hand responding to the sound stimulus. 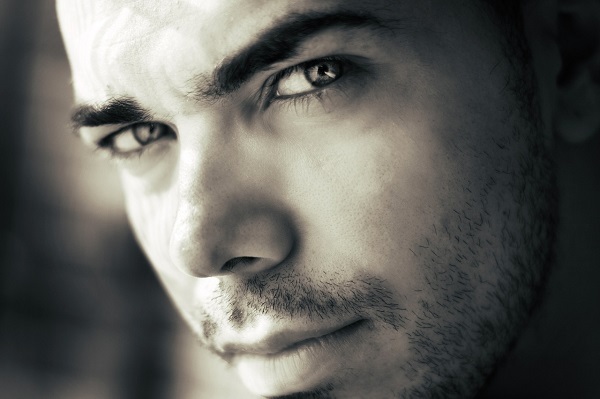 An audiologist also assesses the hearing of patients who are adults. This includes a whole lot of tests which involve techniques like looking into the ear to the complex analysis of the brain function. The audiologist also needs to collaborate with the adult patient, professionals and their families in order to overcome the challenges of this problem of hearing. This is done by advising appropriately and providing technology, like hearing aids, counseling, rehabilitation and more. It is known that diseases affecting the ear affect the balance which can lead to vertigo, incapacity and unsteadiness. Audiologists need to carry out the balance tests working with other professionals to be able to provide exercises for balance retraining. Visit here to learn more about audiology for hearing and assessment test.